It may discuss the Ukrainian issue. The Ecumenical Patriarchate has postponed a meeting of its Synod from September to October, LB.ua has learned from its church sources. This meeting was to be held on 10 September and was believed to be likely to settle the issue of granting autonomy to the Ukrainian Orthodox Church. Now it will not meet at least until October (a tentative new date is 9-11 October). Nevertheless, Synaxis - a meeting of all the bishops of the Constantinople Orthodox Church, headed by Patriarch Bartholomew - will take place in Istanbul as planned on 1-3 September. 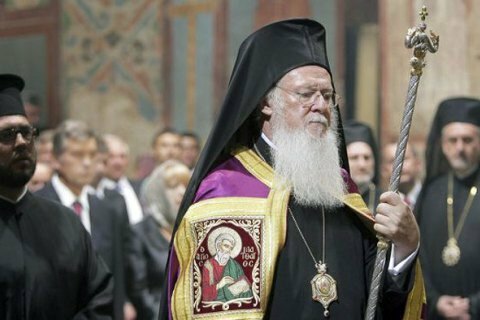 Before that, Ecumenical Patriarch Bartholomew is scheduled to meet the head of the Russian Orthodox Church, Patriarch Kirill on 31 August. The Synod will meet earlier but the Ukrainian question is not on the agenda. Church experts expect the Synaxis to discuss the autocephaly of Ukrainian and Macedonian churches. However, these issues are the prerogative of the Synod, not the Synaxis. It is important to note that whereas Synod meetings are held more or less regularly, meetings of the Synaxis are extremely rare – it last met three years ago.